Movie: Forrest Gump. How can you not love it? 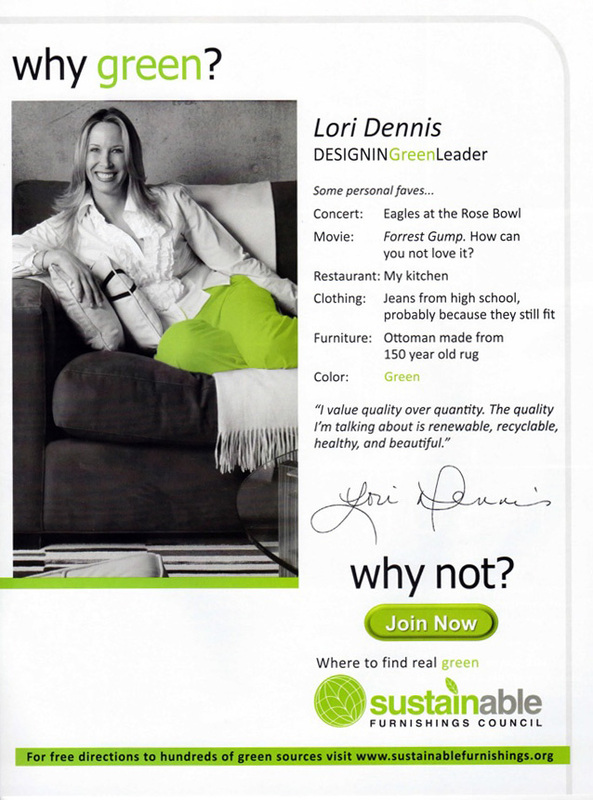 Celebrity Designer, Lori Dennis, our interior design partner is featured in an advertisement for the Sustainable Furnishings Council. The company hosts a comprehensive list of the best general contractors.